Find free classified ads for Apartments for rent for sale and to buy in London. Shown below are classifieds for Apartments for rent. Please use search box above to find other items in Apartments for rent London or look at the London for neighboring places in the locality. 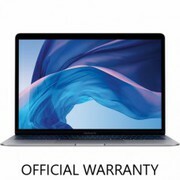 Buy Refurbished Apple Macbook Air A1370 is a great laptop for anybody who is always on the go especially professional and students and it’s also great for families who just desire to surf the web, such as social media sites and surveillance online content such as music videos and movies. At Dhammatek we pride ourselves on the excellence of our refurbished apple macbook. Dreams Serviced Accommodations provides short terms housing in Heathrow, London. It is a fully furnished apartments in London than any else. However it is a great alternative for holiday accommodation..
Get Studio Apartments for Rent In London. With double glazing, wooden floors and electric heating throughout, the property also has lift access and a secure door code entry to ensure tenant security. The utilities include electricity, WiFi and water supply. They provide you with the apartment or the studios at affordable rates. If you are facing problem searching the rent apartment then do not worry, because "Finchley Road Studios" have rent apartments for students, professional, family. You can find the best rental apartment here Live in a secure and friendly environment Studio apartments for rent in London with fully fitted kitchen facilities Studio flats to rent with excellent location Furnished studio apartment in a superb location Go online today and find your Studio flats. Hotel Alternative Reading Solutions from Berkshire. Find out more about great-value Serviced Accommodation that's ideal for insurance companies and relocation companies. erviced apartments are fast becoming a popular choice for leisure and business travellers in London and major cities around the UK. The UK's most visited estate agents.Our Experts can help you buy, sell, rent and let property with branches across the UK. We will list your property on the main property portals such as Rightmove, Zoopla & PrimeLocations. let your property within the first 48 hours.largest online letting agent uk.https://www.zacoota.com/ We. Find the apartments for rent in Reading, Berkshire. Apartments rental listings are currently available. Compare rentals, see map views and save. For more https://www.mercurypropertygroup.com/apartments-for-rent/. The latest studios available to rent now in London city center from Finchley Road Studios. View our spacious studio flats, available to rent now! You’d save good rent money: if you are running on a tighter budget London studio apartment can be a great choice. Easy to maintain: For busy professionals studio spaces in London can prove to be a great time consuming as there’s less cleaning required. Find the Apartments for rent in Reading, Berkshire. Apartments rental listings are currently available. Compare rentals, see map views and save your favorite. To help ease your next apartment search reading, We are excited to help you find your next place to call home! View our available apartment options: Use the Location/Availability/Price. Do you want to experience a real home-from-home stay, then visit City Stay Apartments. Both their Milton Keynes and Bedford sites are a short walk to the train stations with direct links to the city..
Classic Clutch Bagsto adds glamour to your attire! For all those party ladies out there in London, grab a clutch bag that adds elegance and glamour to your overall attire. A funky clutch bag with a casual outfit, a blinky one for a club night and an elegant design for a formal event, different clutch bags make each occasion of yours a mesmerizing one as you will grab a lot of compliments altogether. If you are looking for studio flats for rent in London, you must visit Finchley Road. The newly furnished ensuite studio flats are ideal for all and are located in the perfect area where you will get access to all the local amenities. Studio flats are much different from university accommodations. You will find more and better facilities at the studio flats for rent as compared to other types of accommodation. Visiting London is a once in a lifetime opportunity for many families, and rather than stay in a hotel more people than ever are searching for Mayfair luxury apartments. Carlton Court, just off Piccadilly, offers the ultimate in opulence and has all the advantages of a hotel but for far less. The only difference is that you do your own cooking, but there are dozens of restaurants on the doorstep if you prefer not to. If you are coming to Britain and looking for luxury apartments in London we have exactly what you need at Carlton Court. We are in the very heart of the West End and in within walking distance of just about everything, including two large parks. Fine restaurants, bars, night clubs, shops, theatres, and more are within minutes. If you are visiting the UK and want London serviced apartments we have exactly what you need at Carlton Court. Located in the heart of the West End, we have one bedroom, two bedroom, and three bedroom apartments available for as short or long a stay as you wish. You get a fully fitted kitchen, high speed broadband, TV’s in every room, and twice the space you would get in a hotel. Carlton Court is in the centre of Mayfair in the West End and provides luxury serviced apartments London for short or long term visits. Apartments sleep from two to six people and are furnished without regard to expense. King sized double beds are standard and there is a seven day maid service. You also have a fully fitted kitchen with washer, dryer, and dishwasher, TV’s in every room, and high speed broadband. If you are visiting London, whether on business or just for a vacation, why not stay in serviced apartments London rather than a hotel? Carlton Court offers apartments that sleep from two to six people, with full concierge and security service. It is just like having your own home away from home, but you get all the benefits of a hotel apart from a hotel restaurant and bar – and the crazy prices they charge! Contact detail: 20 7493 0597 reservations@carltoncourt. Carlton Court is situated in the heart of the West End of London, so if you are looking for serviced apartments in Mayfair this is the place for you. There is a 24 hour concierge/security service and the staff are multi-lingual. The apartments sleep from two to six people and have king size beds, fully fitted kitchens, and spacious reception rooms. If you are visiting London for any length of time you should consider staying in Mayfair serviced apartments London at Carlton Court. These apartments have been furnished regardless of expense and can sleep from two to six people. Each apartment has a fully fitted kitchen with washer, dryer, and dishwasher, while the bedrooms contain king size beds. Mayfair serviced apartments are available at Carlton Court which is in the heart of the West End just off Piccadilly, and within walking distance of Oxford Street, Bond Street, and Knightsbridge, so the finest shopping in the world is on your doorstep. Carlton Court has a 24 hour concierge/security service, multi-lingual staff, high speed broadband, and is luxuriously furnished without regard to cost. Carlton Court has five individual Mayfair luxury apartments and is situated a few yards off Piccadilly. There is a choice of a one bedroom penthouse, a one bedroom apartment for two with a child, a two bedroom duplex for three to four, a two bedroom deluxe for four, and a three bedroom flat which sleeps as many as six. There are several Mayfair apartments available to rent, but probably none so convenient as Carlton Court in Down Street. It is about as central in the West End as you can get, and is within a few minutes’ walk of Park Lane, Knightsbridge, Oxford Street, Bond Street, and Piccadilly. Some say this is the best shopping experience in the world and not many people would argue with that. If you are looking for luxury serviced apartments Mayfair, Carlton Court is just the place that you are seeking. Here you can stay in unashamed luxury in apartments designed and furnished by the owners in the manner that they would have created if they were going to live there themselves. You have a choice of a one bedroom penthouse for two, a one bedroom flat for two, or accommodation for three, four, or as many as six. Luxury Excel Apartment located within the 12 minutes walk to the Excel Exhibition Centre and famous Emirates Cable Cars. This Luxury Excel Apartment providing an open plan reception, dining and kitchen, master bedroom with en-suite bathroom, large second bedroom with two single beds, a spacious balcony and a fully fitted kitchen. Carlton Court provides fully serviced short stay apartments Mayfair in the heart of London. Bond Street, Oxford Street, Hyde Park, and Knightsbridge are only a short stroll away. Relax in luxurious surroundings in a home away from home. Every possible creature comfort is provided to ensure that your stay in London is one you will never forget. Startups can rent shared office space in London, UK. Find the coworking space that suits you in London UK. Prices to suit most products and services to suit most needs. Our seminars will teach you with the skills to help you take your business to the next level. For more Detail Visit our Website : https://www. Kings Cross is well known for being a major transportation hub. Contact us today to find out more Offices for Rent in Kings Cross..
Find the best flexible space for your offices in London to suit your business needs. We provide services in cities like midtown, hoxton and also property in clerkenwell..
Farringdon has developed into a vibrant business district with an identity of its own. We may help to buy Property in Farringdon, Offices in Farringdon and Bars to rent in Farringdon..
United Kingdom free classified ads for Apartments for rent, London, Apartments for rent free ads London, Apartments for rent for sale London, Apartments for rent to buy in London. This page is a listing of classified ads for Apartments for rent category in London. This section includes classifieds for sale and to buy in London. 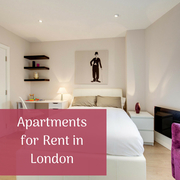 Apartments for rent London ads London, Apartments for rent classifieds London, Apartments for rent free ads London, ads for sale London, ads to buy London, FREEADS in UK. Find here ads for sale, to buy and rent in London. Goods for sale in London, vehicles for sale in London, London real estate for sale, London property for sale, property for rent in London, business ads in London, London business classifieds, services in London, London services ads, jobs in London, pets for sale in London, London dating, London cars for sale.